Speak & Spell and Speak & Math were some of my favorites toys growing up. Somebody (another geek from the 80's?) 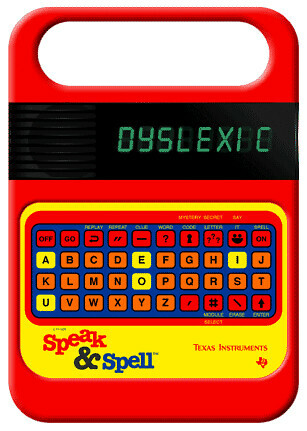 took the time to create a pretty cool online version of the Speak & Spell. It seems to work very similar to how I remember the original Speak & Spell used to work.